Grand Chain High School "Chainers"
Grand Chain (population 233) is located in far southern Illinois in eastern Pulaski County. Illinois Route 37 runs through Grand Chain and parallels the Consolidated Railroad line that also divides the town. Grand Chain is actually about 3 miles north of the Illinois/Kentucky border which is the Ohio River. Grand Chain is about 25 miles northeast of Cairo, Illinois' southern most city. The town and school history are in need of research or the expertise of someone from the area. 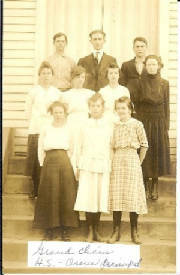 We know that the school was probably established in the late 1800s. A high school served the community of Grand Chain through the 1964-65 school year. That year (1965) the communities of Ullin, Karnak, Grand Chain and others joined together to form the Century School District. Century High School is located in Ullin. 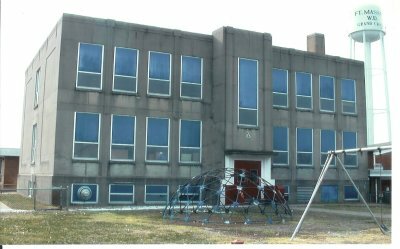 "The Grand Chain High School building held classes for Century Elementary until the early 2000's when the new Century Elementary was built. 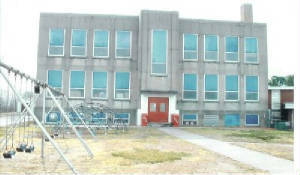 The school now houses an alternative school for students with behavior disorders. My grandmother attended Grand Chain high school. 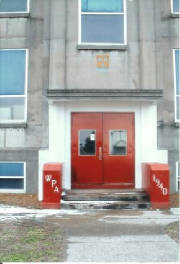 The WPA worked on the building because on the front steps there is a WPA sign with the year." 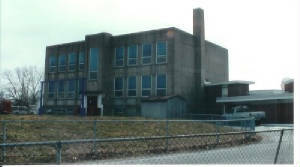 It is known that Grand Chain is home to an elementary school for the Century School District for grades PK - 6. Grand Chain High School holds onto one great season which kept it on the IHSA weeb page (www.ihsa.org). This was accomplished in boys basketball. It is believed the athletic program at GCHS also included baseball and track & field. This information is being sought as well as information on the other accomplishments of Grand Chain High School. The Grand Chain High School boys of 1941-42 will carry the school spirit banner for eternity for the alumni of Grand Chain. The team won the school's only IHSA hardware by bringing home a District title. There were probably MANY other great seasons in Grand Chain High School history, however this is the only mention of the school on the IHSA web site. If you have information you would like to add, please send us an e-mail. The team record and coach's name of the 1941-42 Champs are not available.